With the 2018-19 Canada West season on the horizon, Bison men’s hockey head coach Mike Sirant sat down to discuss the club’s exciting new recruits and the pedigree they bring to the program. Tyler Brown, Devon Skoleski and Mackenzie Dwyer will all join the Bisons this season, bringing a wealth of Western Hockey League (WHL) experience with them. “[The] Western Hockey League is an excellent league, obviously a very elite league,” he said. “But now when you come to Canada West, you’re playing against guys 21 to 26 rather than 17 to 20, so there’s a big difference in players’ experience, their physical maturity. Brown, a goalie, comes to the Bisons after finishing his junior hockey career with the Saskatoon Blades. He spent four seasons with the Regina Pats before being traded to the Blades and has an 80-51-16 WHL record. The 21-year-old led the Pats during a successful 2016-17 campaign. He posted a 33-8-1 record on the season as the Pats finished first in the league, losing to the Seattle Thunderbirds in the Ed Chynoweth Cup final. “We’re excited to have Tyler in our program,” Sirant said. Brown’s recruitment solved a looming issue brought on by the coming graduation of goaltenders Byron Spriggs and Dasan Sydora at the end of the season. Winger Skoleski joins the herd after four seasons split between the Everett Silvertips and Prince Albert Raiders of the WHL, and the Winnipeg Blues of the Manitoba Junior Hockey League (MJHL). For Sirant, Skoleski’s time spent with the Silvertips was a big draw. “Having played in Everett under coach Kevin Constantine, you know that Devon would’ve got a real foundation in defensive play,” Sirant said. Skoleski had 31 goals and 39 assists in the WHL and will look to carry that offensive upside over to U Sports, along with his defensive acumen. The final recruit, defender Dwyer, also spent time with the Silvertips, and most recently played for the Portage Terriers of the MJHL. Dwyer had a goal and three assists in the WHL, playing a more defensive role, but with the Terriers his offence flourished. The Winnipeg-born defender had 88 points — 16 goals and 72 assists — in his final two junior seasons. “Mackenzie is a big defenceman that moves really well,” Sirant said. 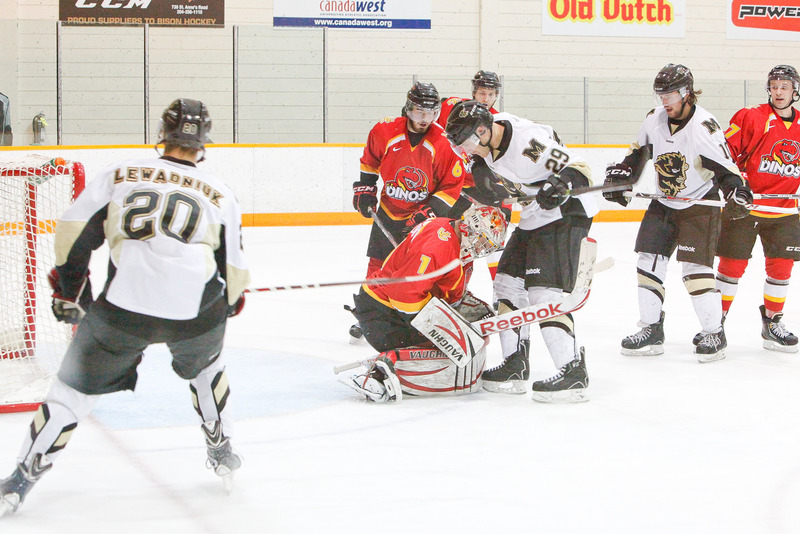 The Bisons begin their season on the road, with a weekend series against the University of Calgary Dinos. Puck-drop for game one is Friday, Oct. 28 at 7:00 p.m. MDT with game two the following night at 7:00 p.m. MDT.